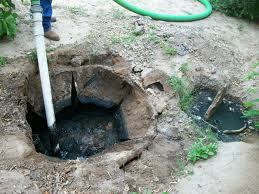 Superior Septic Services is always happy to assist you, our customers, with your septic inspection in Marysville. Regulations require that your home sanitation system be inspected by a licensed technician at least once every three years. This not only helps you stay in compliance with state and district regulations, it helps to ensure that your septic tank and leach field are operating correctly. If you have recently moved into a home that has a septic tank, you might be interested in knowing that the Washington State Department of Health has an information page that can help you learn more about your septic system and how to properly maintain it. Their system basics video covers types of septic systems, dealing with various soil types, system care and maintenance and septic inspections. According to this video, gravity septic systems need to be inspected every three years, but all other types need to be inspected once a year. Knowing the type of septic system that you own is just one good reason to view this informative video. It lasts twenty minutes and is full of great information for homeowners who either have a septic system, are thinking about buying a home that has a septic system or are contemplating having one installed. Checking this website will also help you to learn if you are in an area that has extra requirements. Superior Septic Services has licensed technicians who are fully qualified to carry out your septic inspection in Marysville. Just call us at (425)905-2485. We also have the capability to carry out any needed repairs, and we have a small pumper truck to help with pumping needs in hard-to-reach areas. Our office staff will be glad to set up an appointment for you today.